1. Larsa Tote Bag - When a simple yet classy look is all you want! 3. 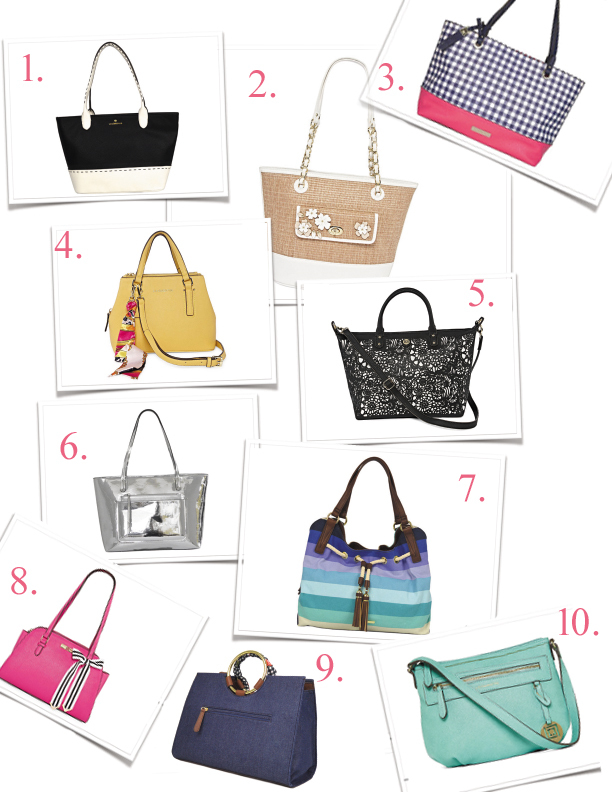 Mary Ann Tote - Ok...that gigham and pink...enough said! 4. Charlotte Mini Satchel - That yellow just makes me smile. "bag lady" (or bag girl) but after today it's growing on me. from JCPenney, to one winner! JCPenney didn't sponsor this giveaway. I'm going to pick the bag I'll give to the winner. You don't have to be a bag lady to enter. When you saw the words "Bag Lady", is the first thing that came to mind was the song by Erykah Badu ? No?...oh, it's just me. I'm old school, and I'm always thinking about music videos in my head. ok.
Well, I also think of someone that's "into" bags, purses, satchels, a.k.a. handbags!... but that's not me. It's not because I think they are ugly, it's because I know what I'll do with them. trends I'm loving by going to the article HERE. In my search for fashion I included bags. looking at them! Don't mock me...I used the 'L' word and bag in the same sentence. I'm shocked too! Which one of my picks did you like? Here is my count down. 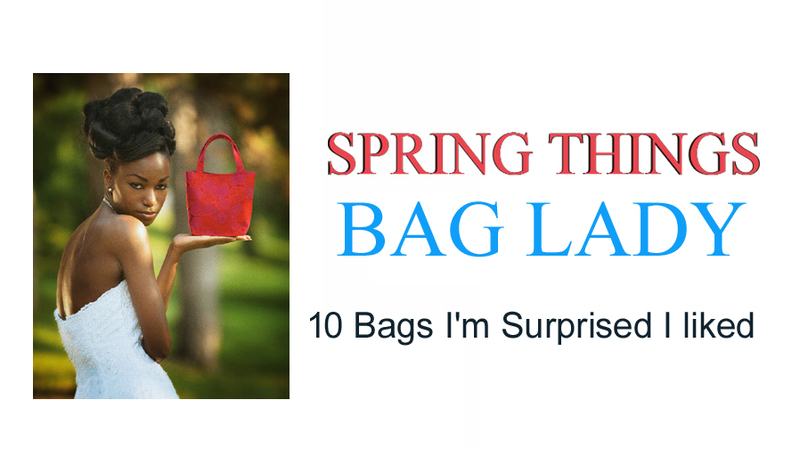 Enter to win my Spring Bag Giveaway. The winner will receive the following prize as listed below. Winner will be chosen May 25, 2018 12 midnight EST. time.